Dedication and passion in the studio making house music drew the attention from classy French label Robsoul, which led to his track 'Soultrain' being signed. On the back of this, 2011 saw Riki bill up alongside Hector Moralez, Chris Simmonds, and Jordan Peak for a WE THE BRAND Showcase event held in Shoreditch, London. Soon after Riki was introduced to House Legend DJ Sneak and “We Iz Underground” was released on Sneaks flagship label; Magnetic with remixes from Hector Moralez and label boss DJ Sneak. The record was produced by Riki and Darren Roach under the alias of 'Bluntz & Roachez'. Later that year they were asked to do a remix of one of Sneaks original cuts 'Bodytalkin' a project he released on DJ Sneak Classic's label. 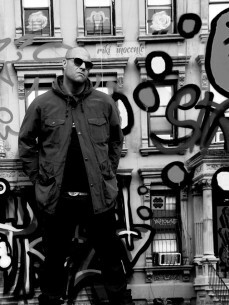 In 2013, Riki dropped a Gangstercast for DJ Sneak, a Podcast series with a concept for true underground house music lovers, released on I'm a House Gangster label. Riki became the 2014 UK Winner and World Finalist in association with the Beatport and Corona Sunsets DJ / Producer world championships and went on to represent the UK playing at the Corona Sunsets Festival in Ibiza, Weston Super-Mare; he went on to headline in India and play the first Corona Sunsets festival in London, Greenwich. Riki's musical talent has led him to play at clubs and festivals around the world and is a regular DJ at international I’m a House Gangster events. Riki’s raw house track ‘A-Game’ influenced by the early Chicago warehouse sound debuted on ‘Inhouse’ records in January included a remix from label boss Todd Terry and played out across clubs and festivals in UK and Europe. Following this Riki released his ‘Between the Beats’ EP 19th July 2015. Riki’s tough jackin bass line driven track 'Industry' released on J Paul Ghetto's US label Fogbank Recordings. True to its name high energy, rolling bass ‘Time for Jack’ track was influenced by Chuck Robert’s early “My House” acapella “in the beginning there was jack” from 1987 “Time for Jack” resonates vocals from Riki Inocente “Now it’s time for jack to come back” it was released on the Under Control Vol 1 album by south coast, UK label Rhythm Control Records. Riki’s deep house EP “The Londoner ” featuring moody jacking-bass track “Keep Me Loving you” was released on acclaimed label Great Lakes Audio with huge support from “Mushroom Jazz” and Chicago house pioneer, label boss Mark Farina. Riki Inocente Music was showcased in his mix and interview with Dope Den Productions as part of their summer series, 'Decks by the Beach' and is due to follow up with the next release on G.L.A with “Bethnal Greens EP”.